18155C07 is rated 5.0 out of 5 by 3. Rated 5 out of 5 by Lexustech48 from Grip! Absolutely fantastic quality! Compound is incredible, top notch construction and I really like the sidewall reinforcement. Easily handle high HP/TQ power and have grip left over on a prepped surface. I imagine no prep these will shine as well. Extremely happy with them and Hoosier will continue to get my business for as long as I need new bias slicks! As a bonus, I was sent a matching set, with both tires clearly marked roll out. Excellent customer service right there. Would highly recommend Hoosier and Jegs! Rated 5 out of 5 by PunisherWS6 from Great tire! I bought these for my full weight WS6, I went from bias ply MTs and man what a difference! These Hoosiers hook! Do you have to use tubes? This can be used on the front. We suggest checking clearances before mounting to rims. What is the recommended air pressure for these tires? 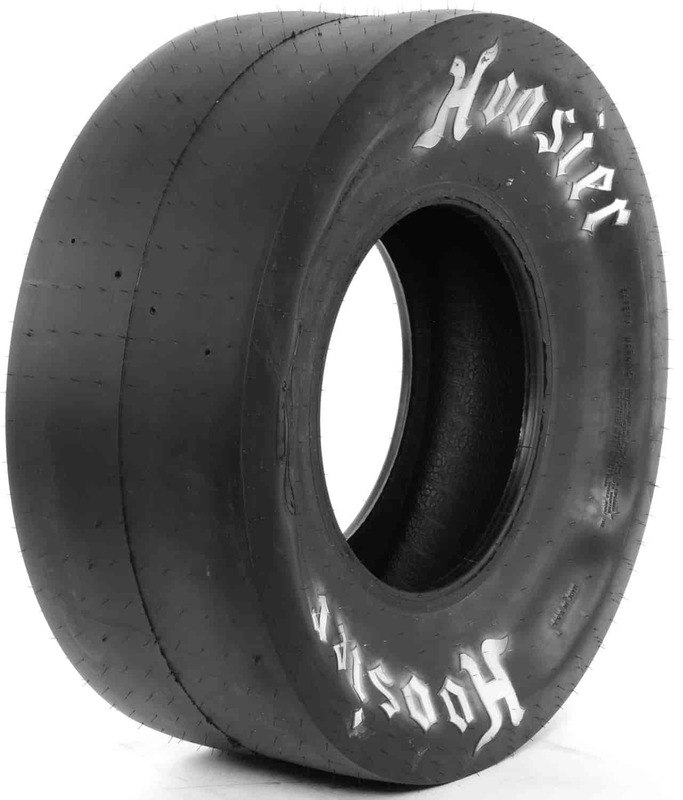 Hoosier 28808815 - Drag Tube Tread: 6" to 11"